Two feet I have used a lot…. especially during the “Dorothy Ruffle Curtain” era are the hemmer and ruffler. Remember these?? I’m not saying this is coming back, but I do see more and more ruffles…. Ruffles are popular again and these two feet make the job a breeze! The hemmer foot comes in different sizes. This foot is a tiny rolled hem foot…. It is a bit tricky at first to get the hang of this foot. Using a straight on grain cut (it’s not a good idea to start to learn this foot with a bias cut) gives you the best results. 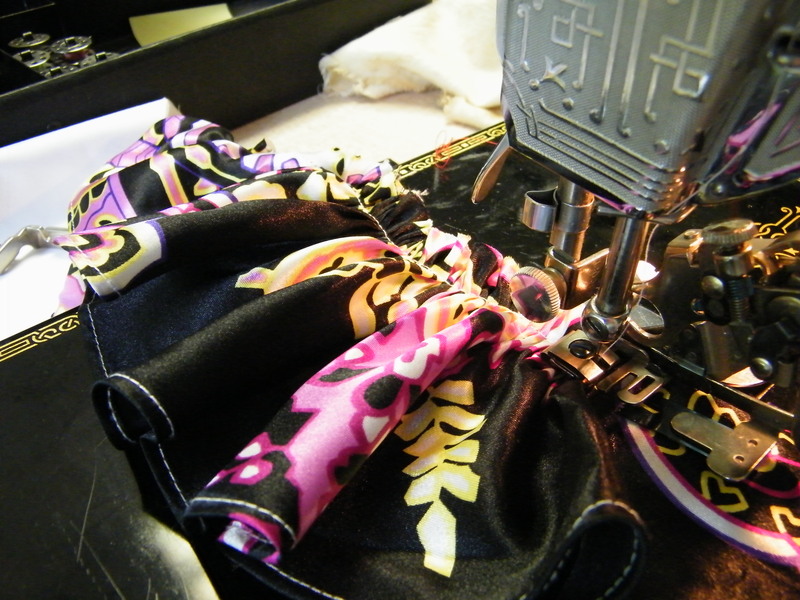 Place the fabric in the opening of the slot and slowly start to sew. 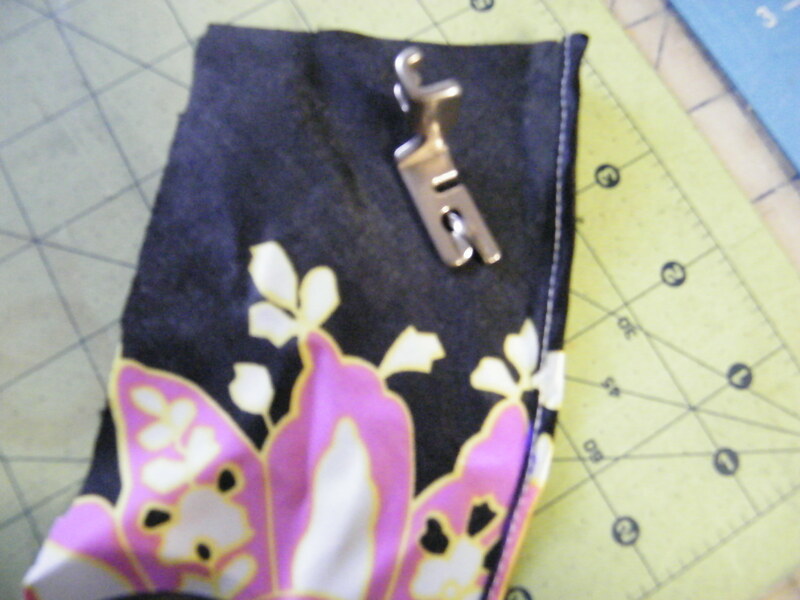 I keep my thumb in the fold to keep the fabric feeding evenly into the guide. 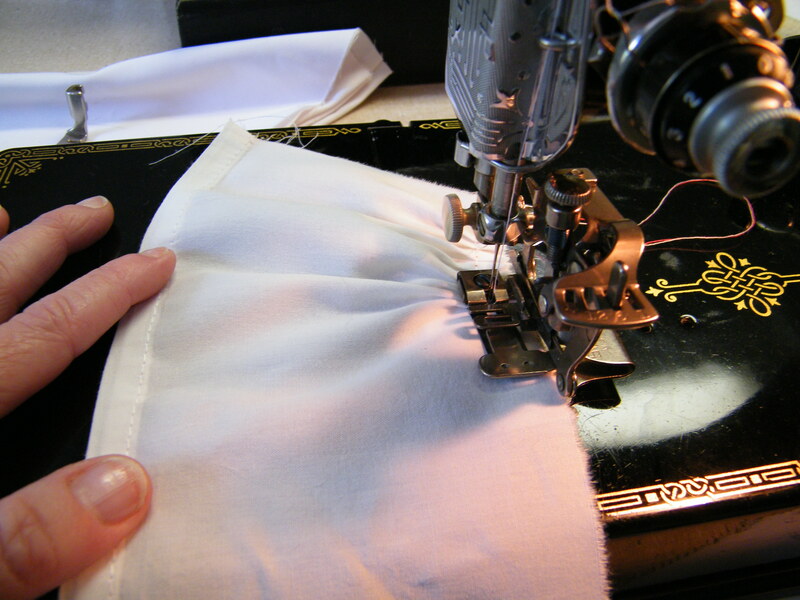 This guide rolls the fabric over for a clean finish, and depending on the size of the guide is the size of your rolled hem. This is about a 1/4″ rolled hem when completed. 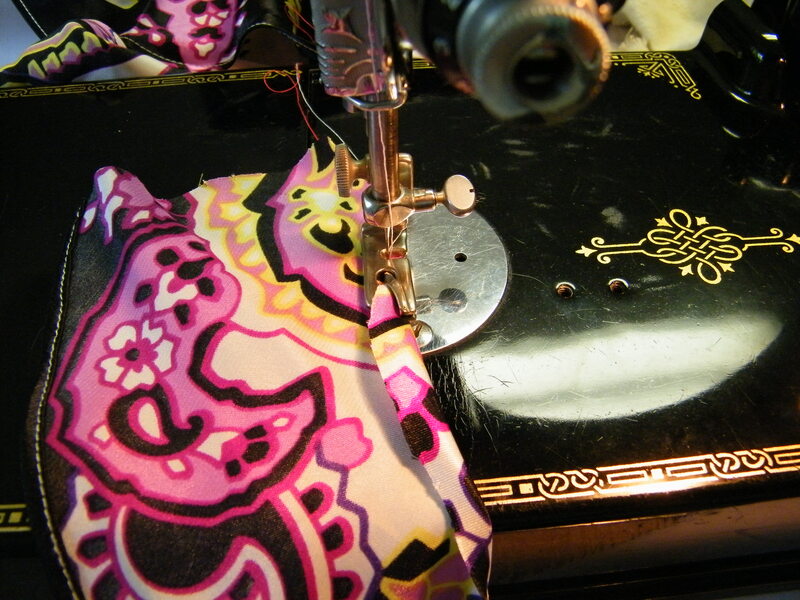 The big trick here is to sew slowly and guide the fabric into the foot evenly. There are two places to attach this foot to the machine. the first place is the foot bar where you attach all your other feet, the second is placing the fork arm on the the needle clamp bar. It is easiest to raise your take up lever to the highest point. 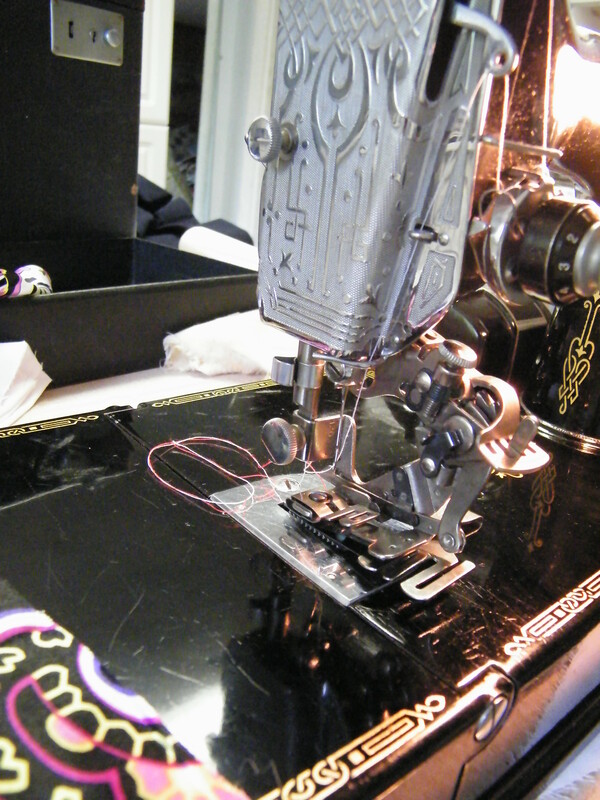 Attach the fork arm over the needle clamp then slide the shank into position and tighten the screws to secure the foot. Most ruffler’s have a few setting on the front. There are four slots with the number 0,12,6,1. When you select the 0 setting your ruffler will not engage or make ruffles. 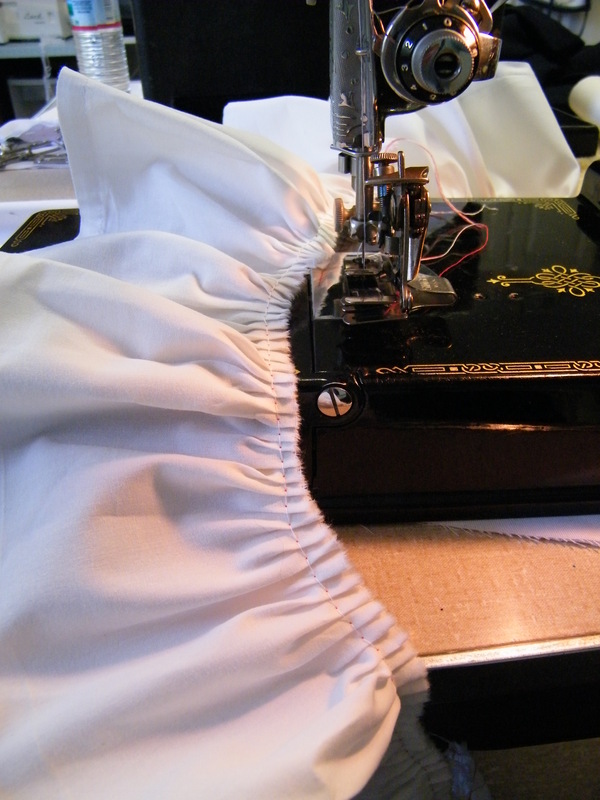 The 12 setting is for a “pleated look” at every 12th stitch a pleat is made with the ruffling blade. The 6 is for a pleat at every 6th stitch and the 1 is for a gathered effect on every stitch. These can be modified by stitch length. More gathers use a shorted stitch length, and less gathers use a longer stitch length. 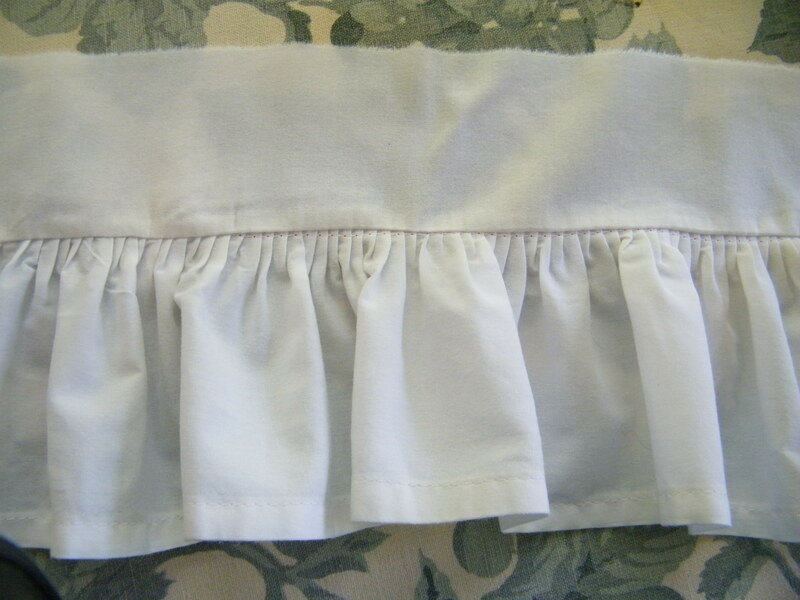 Naturally I thought of something after I’m about finished with this particular blog… so back to the ruffler… I’m using an old sheet to make a new pillow case with ruffles… I used the ends that were already hemmed to make the ruffles so I didn’t use the hemmer on this project. 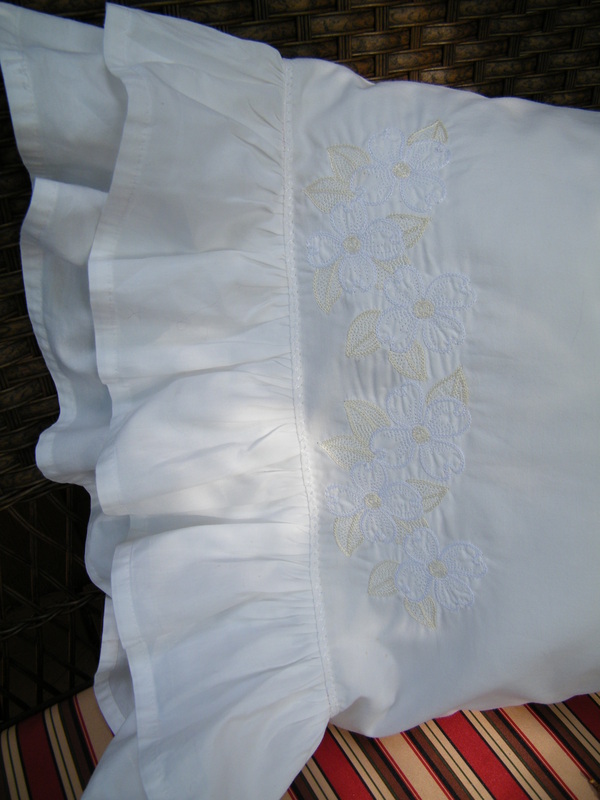 Add a row of decorative stitching and a bit of embroidery…. 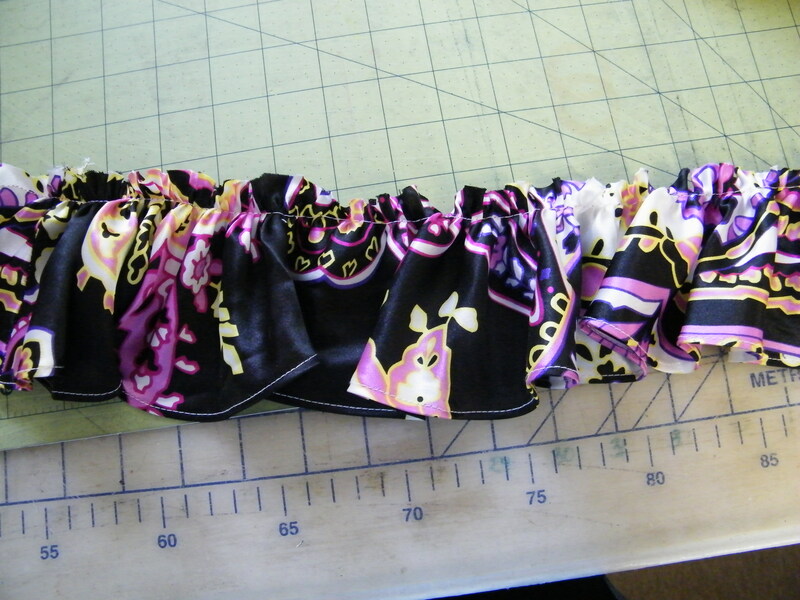 oh be still my beating heart…my biggest pain is to do ruffles…seriously this looks wonderful! Now I shall have to do a bit more reading to see if I can add one of these to my machine! Thanks so much for sharing…you have inspired me so much! Just perfect for White Wednesday…heading there next! Those are great attachments!! 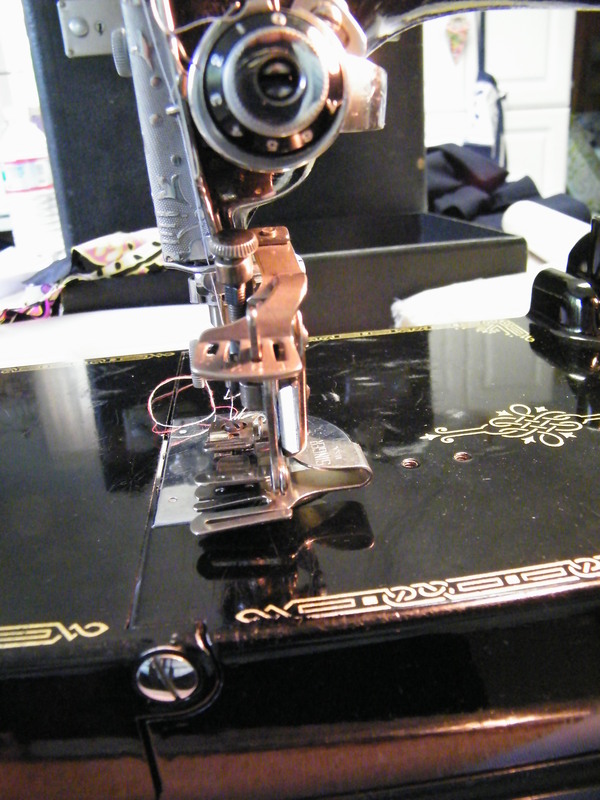 My mother had the ruffler foot with her sewing machine and it was great. Your pillowcase is beautiful! Love your tutorials! I just got a new skirt pattern and was getting ready to dust off my rolled hem foot. Now I feel ready to jump on in! I’m going around visiting everyone on today’s PINK SATURDAY list…..with my hot cup of coffee, of course! Just wanted to let you know that I was here! Have yourself a great weekend, and stop by my place if you’ve the time! 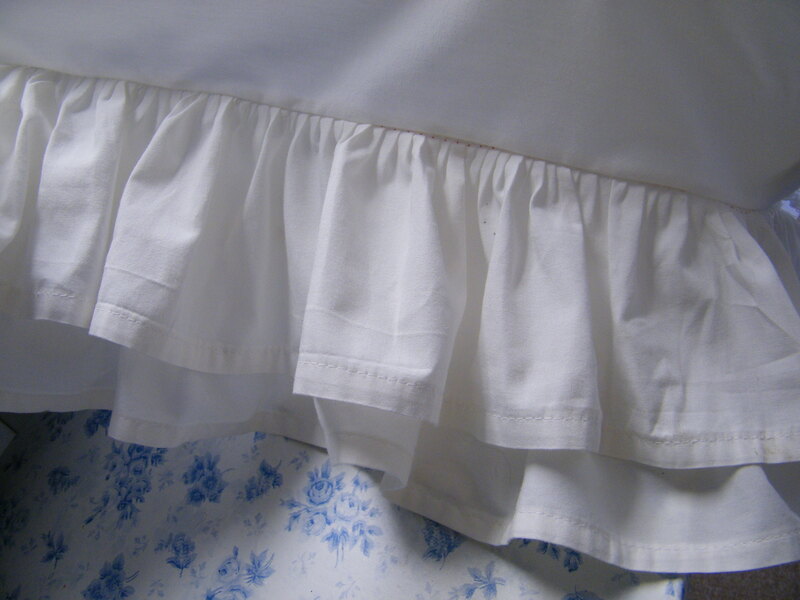 I was awake one night and sewed ruffle curtains at 3:00 in the morning from a white twin sheet. Spent 5.00 on the whole pair of curtains. And I was thinking of you the whole time!!!! I thought you’d be able to understand being up and sewing on the spur of the moment!!! I’m having problems and just don’t get it. 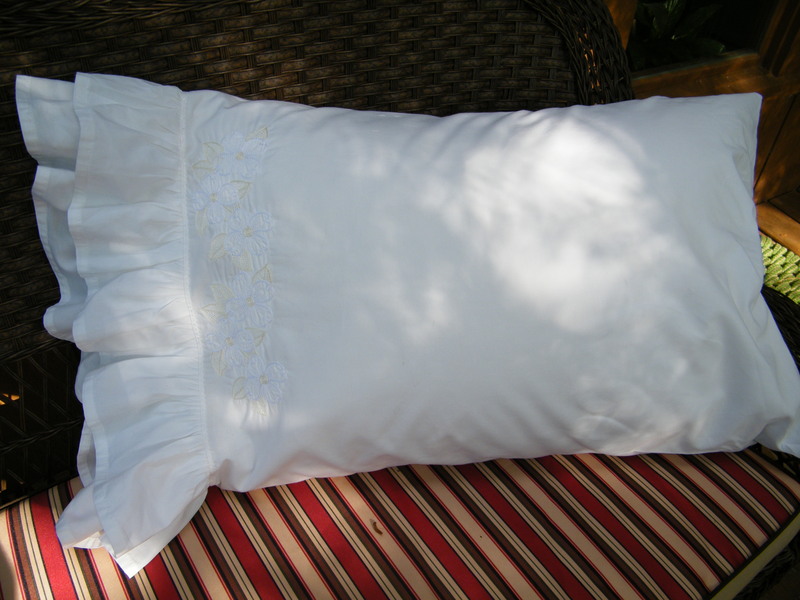 I cross stitch and am making pillows and want to add ruffles using the ruffler – 1 step sewing to actually make the pillow. BUT, my problem comes when I turn the corner and the top/bottom pieces of fabric to stay aligned with the middle piece (ruffle) – I can do the straight edge but then it all goes downhill from there. The top piece of fabric NEVER stays aligned. Is there a secret or am I doing something wrong???? PLEASE HELP as I’m ready to to put the ruffler back in the box – LOL!!!!! I am new to using a sewing machine, but so far have made 9 pillows out of my cross stitch so I am hooked on sewing. If there is a video out there to watch, any help is appreciated. Sorry for taking me so long to get back to you…. About your ruffler… On straight edges and lengths you can ruffle the fabric directly to a flat piece(for instance a long curtain length.) I am never happy with my ruffles when I have to turn corners. So, in this case I ruffle the length of fabric, then straight stitch/baste it to the pillow top. I know that’s a two step process instead of one, but I like the looks of the even ruffles that way. After I have the top all ready I then (with wrong sides facing) stitch the bottom and top together using the basting line as a sewing guide. I hope this helps! I’m very intrested in the white ruffled curtain did they come from Dorothy’s i could use a pair just like these. 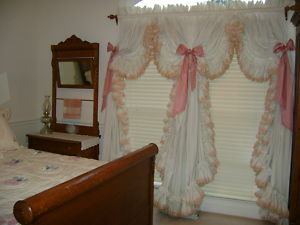 I actually took down my ruffle curtains years ago, this was a photo from the internet I used to show the style since I never took a digital photo of my curtains. That was a Dorothy’s pic so… good luck!